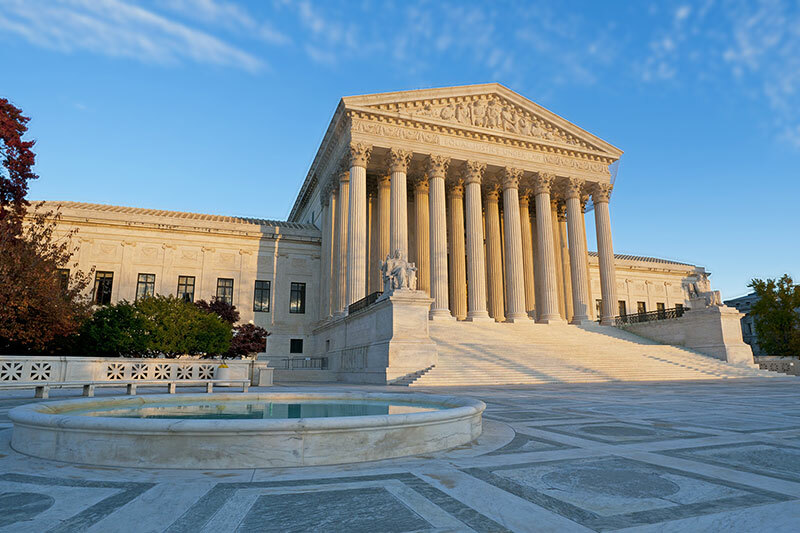 The U.S. Supreme Court on Monday struck down a law that makes it easier, in some cases, for children born overseas to an unwed U.S. citizen mother to acquire citizenship at birth than children born to an unwed U.S. citizen father. The court ruled, in an opinion (PDF) by Justice Ruth Bader Ginsburg, that the law violates the equal protection clause. Ginsburg’s opinion was joined in full by Chief Justice John G. Roberts Jr. and Justices Anthony M. Kennedy, Stephen G. Breyer, Sonia Sotomayor and Elena Kagan. Justice Neil Gorsuch did not take part in the opinion. The law concerns citizenship for children born abroad when one parent is a U.S. citizen and the other is not. The law allows unwed U.S. citizen mothers to transmit their citizenship to children born abroad if the mother has lived in the United States for just one year before the child’s birth. A five-year U.S. presence, including two years after age 14, is required for U.S. citizen parents if the parent is married or the father is unwed (an easing of a previous 10-year requirement, with at least five years after age 14). “We hold that the gender line Congress drew is incompatible with the requirement that the government accord to all persons ‘the equal protection of the laws,’” Ginsburg wrote. Ginsburg said the court can’t rewrite the law, so Congress must select a physical-presence requirement that applies uniformly to all children born abroad when one parent is a U.S. citizen and the other is not, regardless of the parents’ marital status. In the interim, she said, the government must ensure the laws are administered in a way that is free from gender-based discrimination. Because the one-year physical presence requirement was an exception to the general rule, the five-year requirement will apply, prospectively, to children born to unwed citizen mothers, Ginsburg said. Leaving the requirement intact, for now, did not help Luis Ramón Morales-Santana, who had challenged the law. He is facing deportation after moving to the United States at age 13 and living here most of his life. His father, who was unwed when Morales-Santana was born, was 20 days short of satisfying the residency requirement that was then in effect. Prescribing one rule for mothers and another rule for fathers “is of the same genre as the classifications we declared unconstitutional” in prior cases, Ginsburg said. The case is Sessions v. Morales-Santana. Story corrected at 2:20 p.m. to state that Morales-Santana’s father didn’t satisfy the residency requirement then in effect.